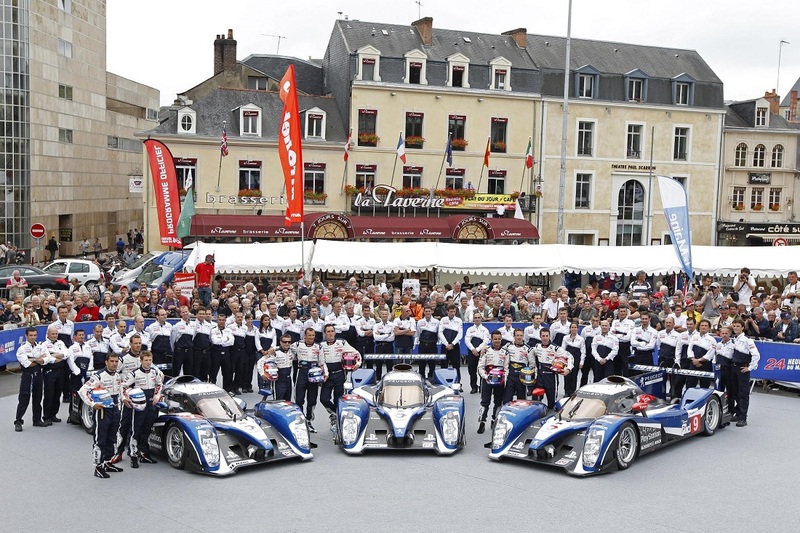 2011 regulations in the prototype category have caused major contenders Audi and Peugeot to reshape their vehicles to adhere to new safety as well as performance standards. For Team Joest Audi, the winning R15 Plus has been decommissioned in favour of the R18. A closed-cockpit vehicle, the Audi R18 is the first such prototype car campaigned by the team at Le Mans since the R8C in 1999. Aston Martin Racing also returns for a run at the 2011 24 Hour of Le Mans LMP1 podium. A lighter but generally slower class compared to the LMP1 category, the LMP2 can be either closed or open cockpit racing machines. Limited in power to supercharged 3.2 liter engines in the category, BMW, Nissan and Honda are powerplant suppliers. The LME (divided into Pro and Am categories) sets out the sole specifications for production-based vehicles at the 2011 edition of the Le Mans 24-hour race. With open and closed cockpit bodywork permitted, Ferrari, Chevrolet, BMW and Porsche are going to be involved in what has become a battle royale in the major sports car through the past decade. The LME Am category is separated from the Pro division mainly by the drivers. Allowed only a single driver deemed profession, the competition in LME Am is set-up to give lower cost operations a chance for glory at Le Mans. Similar in rules to the LME Pro category, the cars campaigned in LME Am class are required to be at least one year old.